Lake Greenwood, located in the counties of Greenwood, Laurens, and Newberry, is one of South Carolina’s more popular lakes. Stretching 20 miles and with a shoreline of 212 miles, Lake Greenwood is the site for many recreational activities as well as residential homes. Recreational activities include boating, water-skiing, swimming, fishing, and more. Lake Greenwood has become a choice residential and retirement area for the counties of Greenwood, Laurens, and Newberry. Even without a lake home, visitors can enjoy many lake amenities such as campsites, boat ramps, picnic shelters, playground equipment, and trails. Lake Greenwood State Park Recreation Area occupies a series of peninsulas on Lake Greenwood, and is one of 16 state parks in South Carolina built by the Civilian Conservation Corps during the Great Depression. Along with camping, boating, and picnicking, Lake Greenwood State Park Area is open to fishing. Visitors may enjoy fishing in Lake Greenwood for bass, crappie, bream, perch, catfish, and stripers. 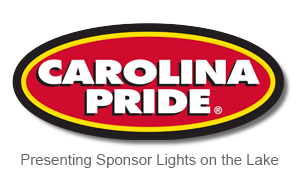 A valid South Carolina fishing license is required to fish at Lake Greenwood. Connect Lake Greenwood recently built a new 5-mile Scenic Shoreline Trail has attracted outdoor enthusiasts from near and far to enjoy the variety of wildlife along the trail and delight in the many scenic fishing spots along the shoreline of Lake Greenwood. Whether it is visiting nearby attractions, or relaxing by the lake, there is much to do at Lake Greenwood. Take time to enjoy all the lake has to offer. 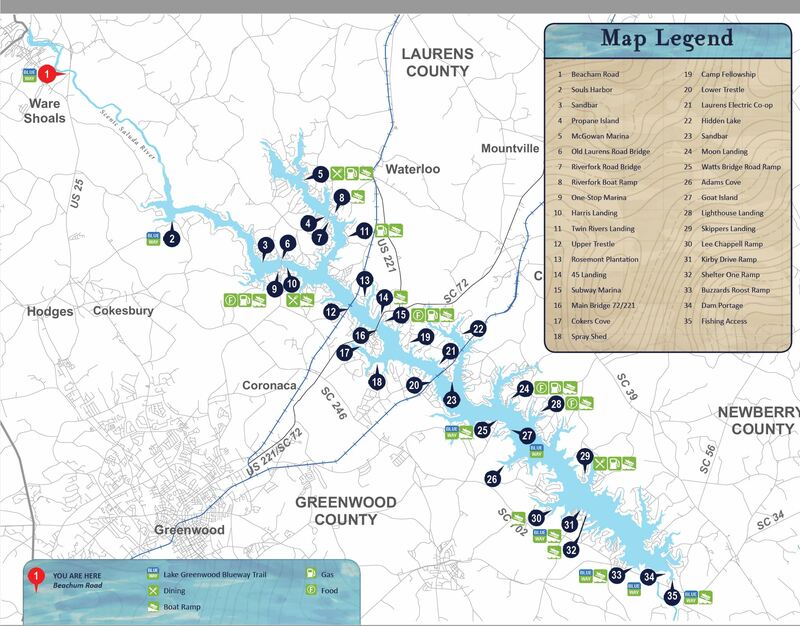 Download the Lake Greenwood map.